Ave stands for techno that has it all. She had her first show in 2015 in Butan Club, Wuppertal. Since then she can not be stopped anymore. After Wuppertal she celebrated success in clubs like the Elektroküche of the Artheater in Cologne. But beyond the borders of Cologne Ave is known for its fat sound. Stuttgart, Frankfurt, Dusseldorf, Bremen - no city in Germany remains unspent. 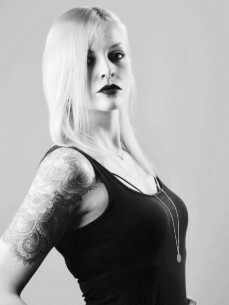 Since 2016 she is also one of the resident DJs of the Bonn event series Techno-Allianz and from 2017 on the artists of the Berlin label Ragnarök. But enough of the words, make your own impression.